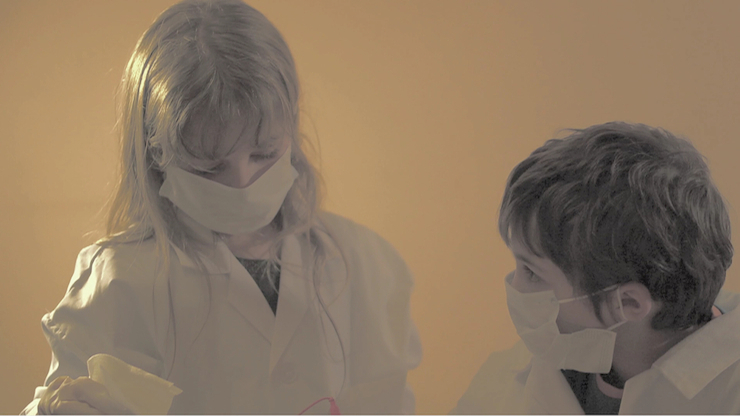 The film opens with two children dressed in white doctors jackets and performing an operation with their hands immersed in latex gloves. We hear the sound of a heart rate monitor, when the boy makes a mistake and the machine flat-lines, he is taken out of the scenario. With the heart rate starting up again the girl is left to continue the operation with seemingly futile and infuriating attempts and always being on the verge of losing the patient.